If you haven’t yet heard of Charlotte-based rapper DaBaby, it’s only a matter of time until his hard-hitting, infectious bars make their way into your speaker. Though his music shares a lot of common characteristics with other modern rappers (bass-heavy trap beats, boasts of criminal and sexual exploits, relatively short track length), it’s hard to find contemporaries that share his hilarity and masterful flows. Born Jonathan Kirk, DaBaby (changed from Baby Jesus) fully devoted himself to rapping in 2014 after facing numerous legal troubles throughout his life. However, even with his growing fame, DaBaby found himself at the center of criminal allegations regarding the shooting and death of a 19-year-old at a Huntersville, N.C. Walmart. While Kirk received no charges thanks to strong evidence of self defense, as well as a lack of compelling evidence against him, the incident does lend some validity and menace to his bars about his time in the streets. Since then, DaBaby has embarked on an astronomical rise to rap fame. This January, Kirk signed with major label Interscope Records as part of a joint venture with independent label South Coast Music Group. In other business ventures, DaBaby even went so far as to start his own entertainment company, Billion Dollar Baby Entertainment. Thus, fans of the rapper can look forward to the same boisterousness and bravado of projects past. In his rise to widespread visibility, DaBaby is checking all the boxes requisite for modern musical fame, even if gaining notoriety is the furthest thing from his mind. Favorable Pitchfork review? Check. A viral freestyle (filmed on the set of Power 106) on Twitter? Check. Interviews on Charlamagne’s The Breakfast Club and with the singular Nardwuar? Check. Guest verses from stars such as Rich Homie Quan and Offset? Check. Walking the streets of Austin, Texas, in nothing but an adult diaper during the annual SXSW music festival just for the hell of it? Absolutely! Considering the rapid succession of these accomplishments (all but the diaper incident have been in 2019), it’s all but certain that DaBaby will continue his astronomical rise in the coming days. It isn’t even necessary to listen to DaBaby’s discography to get a sense of his star potential — it’s all right there in his music videos. Despite his lack of any blockbuster singles, his two most popular videos on YouTube hover right around 10 million views. 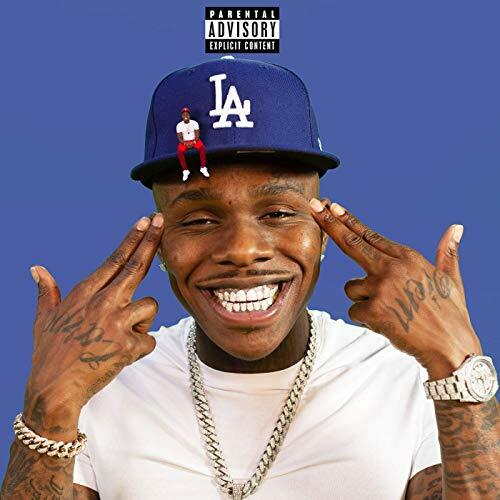 “Walker Texas Ranger” shows an absurd romp through the mountains with DaBaby crashing his Dodge Ram, fighting similarly dressed cowboys, bopping along to the entrancing percussion lines of the song and taking plenty of breaks to hit his blunt. In “Suge (Yea Yea),” DaBaby impersonates the iconic Death Row executive that the song is named after while he dances around the office, studio and streets of Charlotte. The unifying theme in all of these visuals is DaBaby’s clear exuberance in the scenes — this is a man who is enjoying every minute and advantage of his newfound prosperity. It’s a contagious joy, and perhaps this is the compelling pull of DaBaby’s music; he’s having a blast and continually invites the listener to do the same. Even if his music doesn’t ultimately find staying power, you better believe that DaBaby will have a blast along the way.